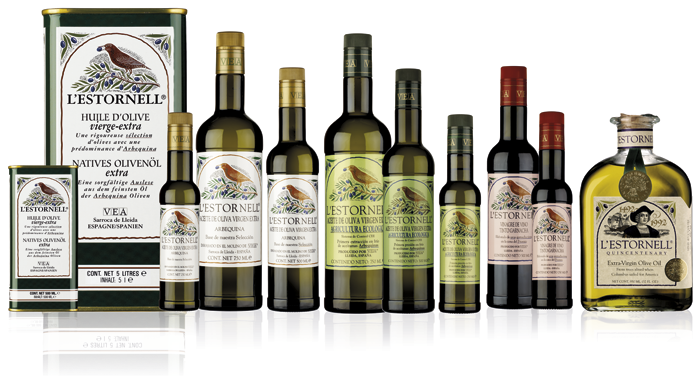 Under the L'Estornell brand  catalan word for a type of bird that likes olives very much and comes to help during harvest time  we bottle two different oils: extra virgin olive oil and a certified organic one, plus a wine vinegar made of Garnacha grapes. 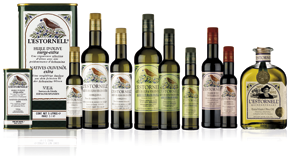 The acidity of the L'ESTORNELL olive oils is very low, between 0.2 and 0.3  never surpassing 0.5 , thanks to the fast molturation, carried out in the following 24 hours after harvesting. It is important to know that the acidity increases from the very first moment the olive has been harvested. These values easily comply the norms established by the International Oil Counsil, who sets up 0.8º of acidity as the maximum for Extra Virgin olive oil.